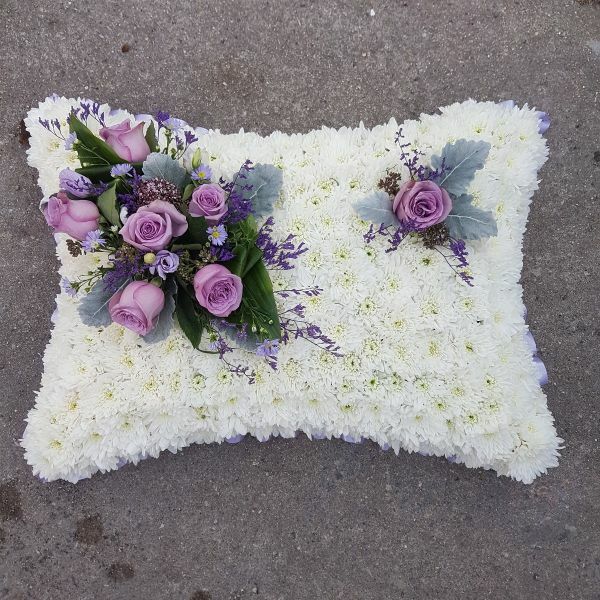 A pillow shaped design created using a massed base of white chrysanthemums and a decorative touch of lavender toned roses and flowers. Approx size: 22 inches / 55 cm in length and 12 inches / 30 cm in height. .